Our magazine’s circulation, including our digital edition, is 194,000. Included in this number is our comp circulation, which includes the C-suite of companies with more than 5,000 employees. We promote the magazine to our Facebook friends, Twitter and LinkedIn followers. 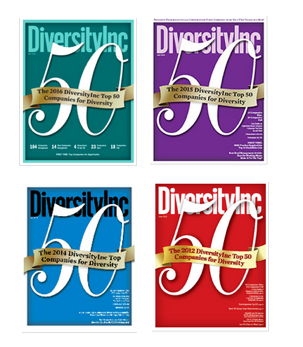 DiversityInc.com has five times the audience of our next largest competitors, Black Enterprise and Working Mother who are tied for second place (source: Alexa.com).